It's Open Education Week, and the federal government has stepped in to put its support behind the development and use of open educational resources (OER). The feds have announced a plan to launch an "online skills academy" that uses OER as the curriculum for online training that could lead to degrees, certificates and other kinds of credentials. The news was announced in a joint blog article posted by the Department of Education and the White House Office of Science and Technology Policy. Also, the Department of State will conduct several overseas pilots that try out OER for formal and informal learning; the results of those pilots will be made public at a workshop later this year co-hosted by all three agencies. The Department of Labor has gotten into the OER act as well. Recently, it revised grant policies for its Trade Adjustment Assistance Community College and Training Grant Program (TAACCCT) to require grantees to "openly license all educational content created with grant funds." The eventual outcome of this requirement is that new learning materials created by the hundreds of colleges that develop new programs of study will distribute that material under a Creative Commons Attribution license, making it available for use by programs, whether they're a part of TAACCCT or not. OER, as it's called, consists of digital and printed curriculum and learning tools licensed in such a way that they can be used by anybody freely and in some cases modified by educators and experts. Courses in K-12 and higher education that use OER avoid the expense of buying textbooks and can offer materials that have been updated and customized by the instructors who wish to use them in classes. The Department of Ed has long been a proponent of OER. 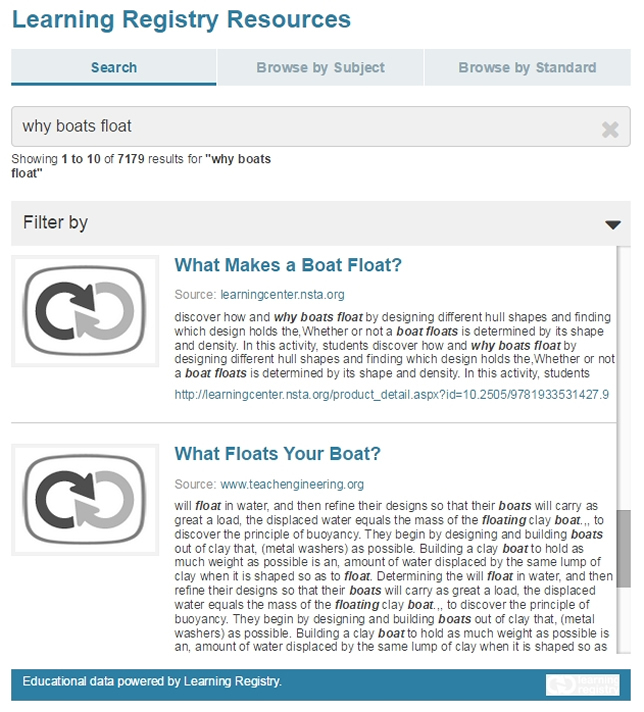 Several years ago it developed the Learning Registry, which acts as an aggregator of metadata about learning resources online, such as publisher, subject and ratings, in order to make them more findable by educators. The registry is in use within several states, including Illinois and California, to allow teachers to search, save and share resources from multiple organizations, such as the Smithsonian and NASA.